You know you can’t keep living with your existing tub, but that doesn’t mean you know exactly what you want out of your bathroom! From tile to acrylic, glass shower doors and jacuzzi tubs, there are a lot of bathroom remodel decisions to make! At Tiger Bath Solutions, we have remodeled thousands of bathrooms, so we’ve seen it all. 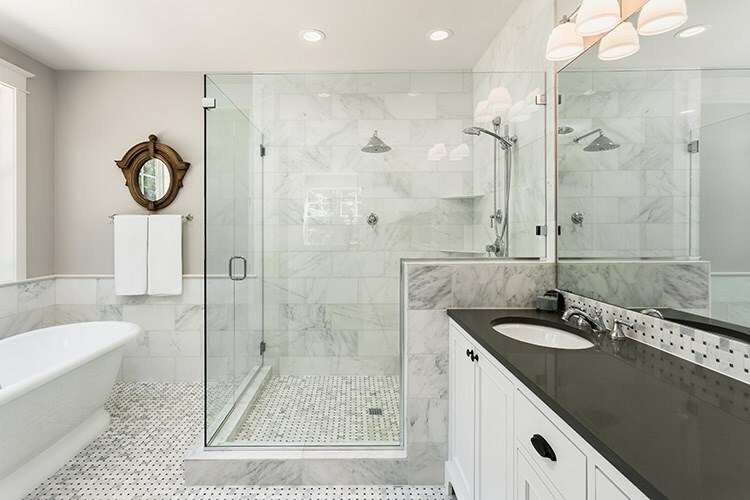 Because we live and breathe bathroom spaces, we know exactly what you should consider before you schedule your next bathroom remodeling project. For some, choosing between a tub and a shower is easy. For others, not so much. That’s because it’s about a lot more than the way your new installation looks. It’s about how much time you want to spend in the bathroom. If you spend the majority of your time in the bathroom getting ready for work, chances are, a shower installation would be the best option. 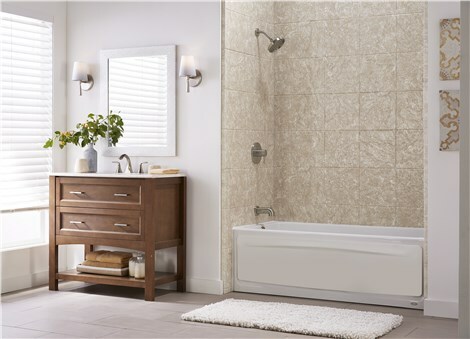 If you like to spend plenty of time in the bathroom relaxing after a long day, a bathtub might be the better option. Have a family that likes to have it both ways? A tub-and-shower combo is the best solution. Once you decide whether you want a tub, a shower, or both, you have to start thinking about what your new installation is going to be made out of. All the home remodeling magazines probably have you dreaming of a custom tile surround. It’s true that this kind of installation can make your home look like it has jumped from the pages of a magazine, but it is costly and time consuming to install. Not to mention, most people don’t want to spend their Saturday afternoons scrubbing grout. Acrylic is another modern option that can look just as stunning when it is manufactured and installed properly. Plus, it has the added benefits of being more affordable and less time consuming to install than tile. You’ll also love that it’s easier to clean and maintain because it can provide your space with a smooth, seamless finish. It isn’t all about beauty and style for those who are looking for a bathroom remodel. If you or a loved one wants to age in place, or if you’re more prone to accidents because of an injury or a medical condition, you will want to consider a barrier-free shower or a walk-in tub. You may also want to consider installing grab bars, shower seats, and anti-slip flooring. If you’re considering a bathroom remodel, allow our designers to help you figure out what would be best in your home! Call or fill out our online form to speak with a designer today.